Well here we are halfway into the second month of 2019 and I’m still reflecting on 2018. Last year was a total whirlwind and ended in such chaos that I feel like I’m still catching my breath. The hectic nature of 2018 was a bit intentional on my part. I was exhausted and depleted at the end of 2017. After a year of what seemed to be never-ending bad news regarding my dad’s health, I needed a big distraction. (By the way you can read all about my dad’s journey with stage 4 prostate cancer on his blog — dearcamden.com). And, to be honest, I needed a break from parenting. There I said it. I kind of wanted to escape my life a little bit. I doubt it was the most healthy way to cope, but I needed a change in scenery. I needed to be anywhere else but here. So I decided I would travel as much as possible. I would use the extra money I made freelancing and airline miles I had wracked up, and I was going to get the hell out of here. And that’s exactly what I did. In February, exactly a year ago by now I think, I traveled to Manhattan Beach, California for a writing retreat with some other freelance writers I met online. Of all the trips I took last year, this one was hands down my favorite. Meeting these women has changed my life. I am incredibly lucky to have them as friends and mentors. We spent a lot of time working, but also made room for fun with hiking and trips to the beach. I hadn’t really spent much time in California before this trip, and I can not get over how beautiful it was. I still think about those sunsets, cotton candy skies and feeling the sand between my toes. In April we traveled as a family to Bentonville, Arkansas where my aunts, uncles and cousins live for my cousin’s bridal shower. Northwest Arkansas is beautiful and we were able to hike while we were there. Later that month I took another solo trip to celebrate my 29th birthday, this time to Washington D.C. to visit one of my best friends from college who lives there. Despite the fact that I came home with a killer cold, I had an incredible time. Highlights include spending a day at the Newseum and riding bikes around all the monuments at midnight. In June we went on our annual family vacation to Table Rock Lake with all my cousins, aunts and uncles. We’ve been going for something like 20 years. It’s always the highlight of my summer. Camden has always loved the water and had a blast on this trip. He caught his first fish and swam all over the resort’s pool and the lake (with ample supervision) in his floaties. We even got him on the jet ski with us, something he was a little scared of the year before. We always go around the 4th of July and he loved watching fireworks across the water from the porch of our cabin. 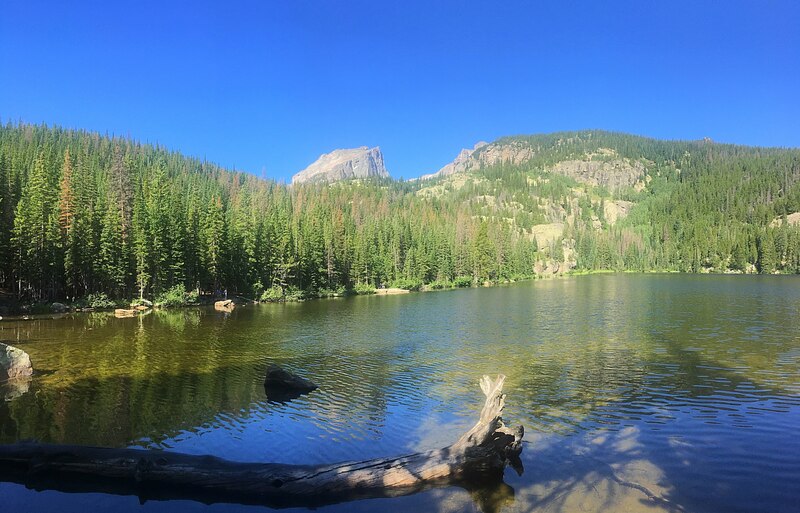 In July we went on another family vacation, this time with my husband’s family to Estes Park, Colorado. I was a couple months pregnant and feeling awful, but was able to get meds right before this trip and actually enjoy myself. In September I went on another solo trip, this time to Austin, Texas to spend a long weekend with three of my best friends from journalism school. And in October, our last trip of the year, we went on a family vacation to Las Vegas. Yes, a pregnant lady and a toddler! Haha but we didn’t do any of the typical Vegas shenanigans — we didn’t even venture to the strip. We stayed with family friends and went hiking. It was beautiful and a lovely last adventure as a family of three. In between all of this we also attended two weddings, spent several weekends with our parents and siblings and another long weekend at the lake over Labor Day. Camden travels really well for the most part and I’m glad we haven’t let our fears of airport meltdowns keep us from adventuring. Vacations, however, are not the same when you have small children, so the times I traveled solo were really restorative for me and allowed me to come back and be the kind of mom I wanted to be. I’m extremely fortunate that I’m able to travel as a form of self care. But being away from home so much was also exhausting and put a lot of strain on my partner during the times I was away. And, well it turns out, you can’t exactly escape your life. Every time I came home, my dad was still sick, even if I had temporarily focused on something else for a change. I’m hoping to strike a bit more of a balance this year — some adventures sprinkled in with a lot of nurturing ourselves at home. Temporary escapes are important and sometimes necessary, but they are just that, temporary. Eventually we all have to face what we’re trying to run from.